The United Nations High Commissioner for Refugees (UNHCR) and Akosua Afriyie-Kumi (AAKS) are looking for a Design Assistant to join our team in Ouagadougou, Burkina Faso. The Design Assistant will play an essential role in the day to day operations on the ground in our Ouagadougou office. 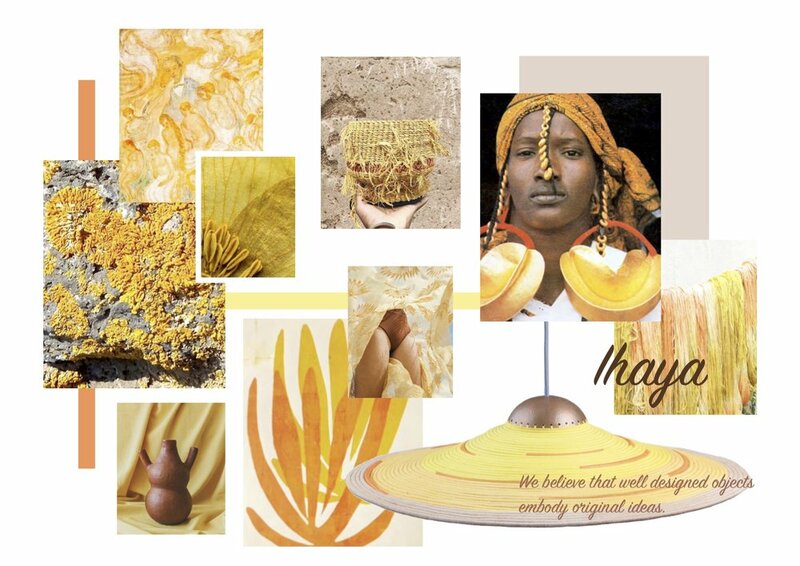 He/She will oversee all aspects of the design project by working alongside artisans in product development of a home deco product, creation of three-dimensional prototypes, quality control, shipments, purchasing and managing necessary supplies for projects and liaising with artisans in various locations in Burkina Faso. He/She must be able to work independently, set up and run a design studio in Ouagadougou while working closely with the creative director of AAKS in Ghana. He/She will gain an invaluable experience of working in a small international design company while learning about the fields of design, production and international development. Application Instructions: To apply, please email info@aaksonline.com with: (a) name of specific job title in the subject line (b) your CV, (c) a thoughtful cover letter. We participated in a Start Up Night! 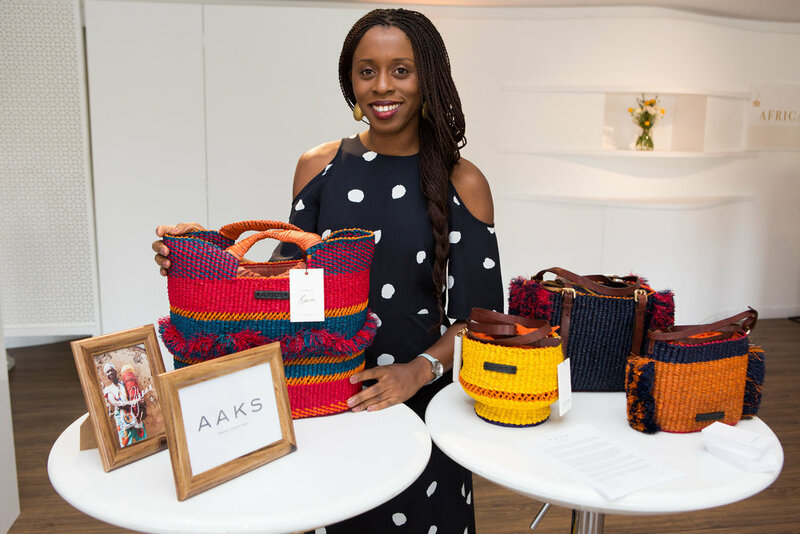 Africa-London, an event that connects African women entrepreneurs to buyers, key influencers and investors from all around the globe. This unique event is brought by Lionesses of Africa and Standard Bank, a platform dedicated to fostering market access for sustainable and innovative businesses ran by African women. While I was preparing my pitch I reflected about my journey as a fashion entrepreneur, the many challenges I had overcome and how central it is to meet people. Sharing my story behind AAKS is always exciting and hearing sound advice and feedbacks from people with different backgrounds is a real bonus. I also had the chance to chat with the other designers and entrepreneurs invited to showcase their work. Telling our stories as African women entrepreneurs and being allowed to do so in front of a receptive audience is genuinely beneficial. They say the future is female, don’t they? Our lamps are handwoven with heart by refugee artisans in Burkina Faso. Practicing a time honoured Malian weaving technique, the artisans use a needle to wrap strands of organic cotton threads and leather around bunches of straw to create tightly coiled structure. It resulted in a beautiful range of lamps in kaleidoscopic yellows, rustics reds, and blues combined with natural tones. Depending on the size and shape, each lamp can take a weaver anywhere between 1 - 2 months to make! The collection offers open and semi closed shades. When lit, the crocheted surface gives a gentle glow to the pendant light. 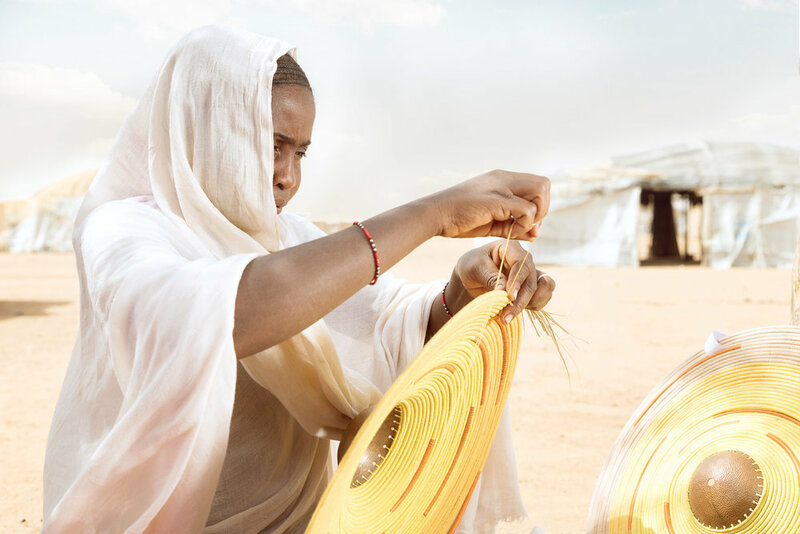 The home décor project titled ‘Weaving for Change’ reflects the preservation of a timely honoured Malian weaving technique of the Tuareg community from Northern Mali, who are living as refugees in Burkina Faso. 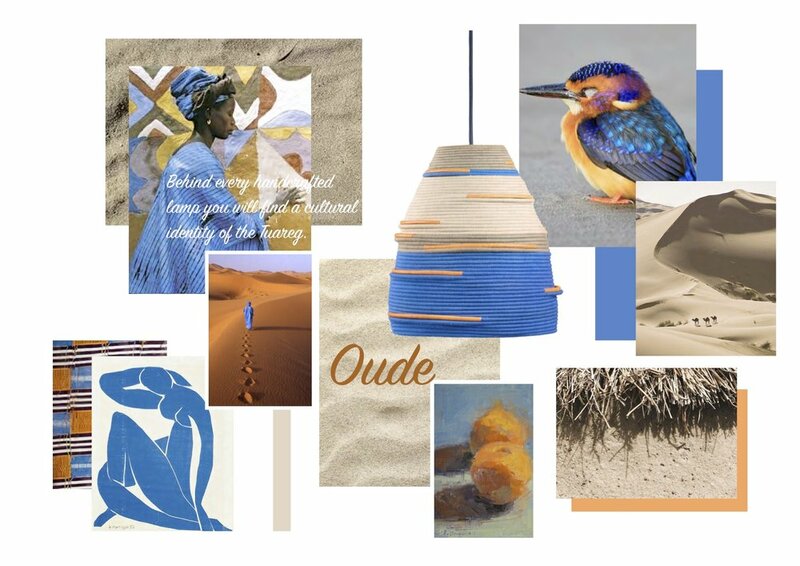 Behind every handcrafted lamp you will find a cultural identity of the Tuareg. 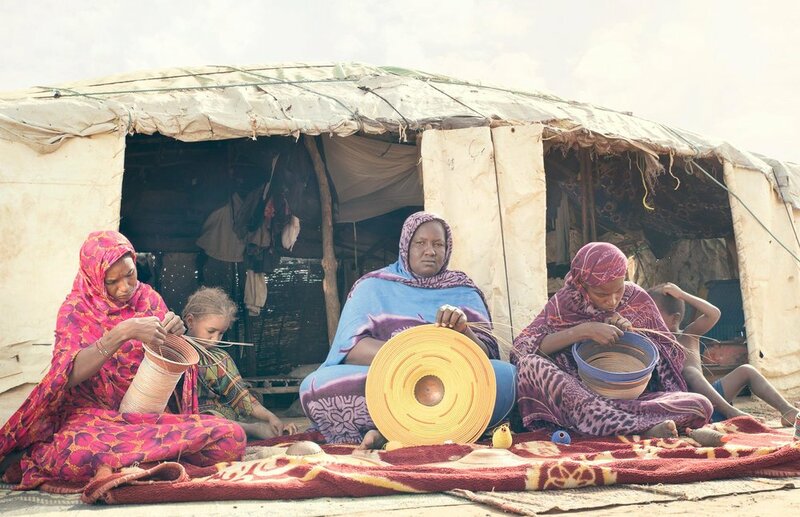 The design combines craftsmanship of unique artisanal skills and techniques in basketry; an important activity carried out by Tuareg and Fulani/Peulh women who weave with straw and yarn to make traditional basket lids for food platters used during celebrations in their communities. The artisans use a needle and thread to wrap hand-dyed strands of organic yarns and leather around bunches of straw to create tightly coiled, durable lamps shades in an impressive range of patterns and colours. The result is a beautiful range of lamps in kaleidoscopic yellows, tone down reds, reds, blues and rustic oranges combined with natural straw and hints of vegetable tan leather, bronze and copper metal finishing. The collaboration of textures and tones is crucial to the cohesion of the overall design ideas. Depending on the size and shape, each lamp can take one weaver anywhere from 2weeks to 1 month to make! The collection seeks to offer open and semi closed shades with direct light source. When lit, the handcrafted crocheted surface gives the entire shade an effervescent glow which captures the perfect equilibrium between light and shade. AAKS wishing you a Happy New Year! We had a blast in 2017 and want to celebrate all of you - Our partners, followers and friends. Thank you to inspiring fashion influencers such as Parysatis and Celmatique who captured our brand stories through pictures, the coolest concept stores around the world stocking our bags such as Beymen in Turkey, Urban Outfitters, Ibu Movement , Papaya sunset in Senegal and United Arrows in Japan. 2017 has been so exciting. Thank you CNN, Vogue Italia, Design Sponge and Nataal for supporting emerging African brands, believing in us and helping us share our precious artisanal Ghanaian heritage stories all over the world. Always remember we are spreading the love one bag at a time, with a little help from our wonderful artisans too. We look forward to a more colourful 2018! Do you remember our Weaving for Change Project in Burkina Faso?! Here is a little update on whats been happening. I went back to Burkina Faso these past months to work intensely on this very special weaving project in partnership with the UNHCR. I have been developing a beautifully hand-woven lamp collection with Tuareg refugee women weavers from Mali. Our first prototypes exceeded our expectations and we hope you will like our home decor product line as much as we do. 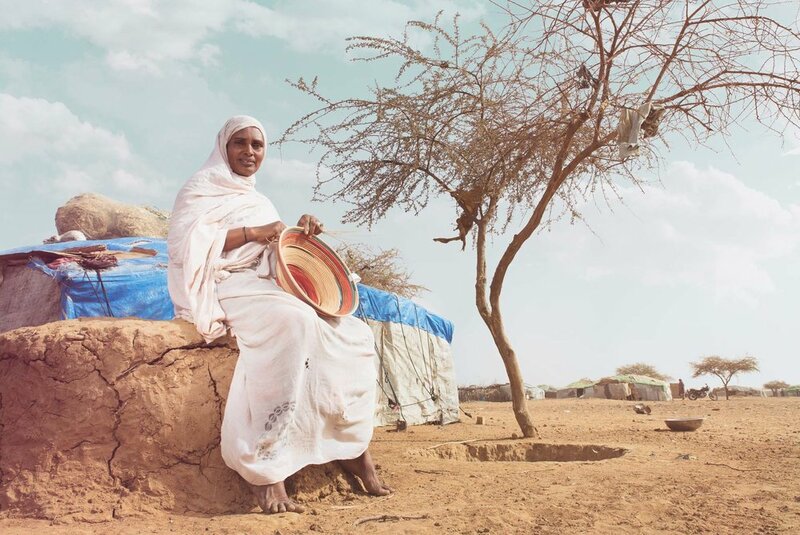 It will showcase traditional Tuareg weaving techniques with a contemporary twist. Make sure to follow our adventures as we will be sharing more of the project and journey in the coming weeks/months. 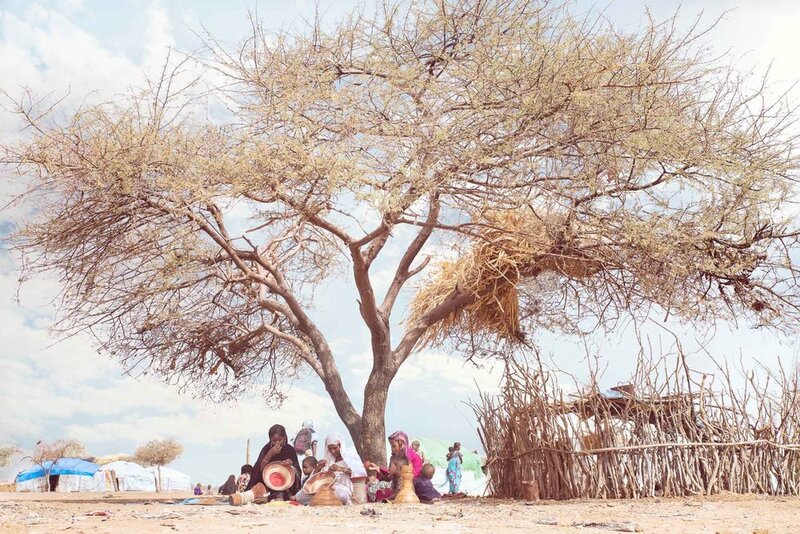 To know more about our work in Burkina Faso, read our first article just here. . . . I got the chance to showcase my newest Spring/Summer 2018 collection of bags at Pitti Super tradeshow in Milan, a three-day event brought by Pitti Immagine and fully dedicated to women’s prêt-à-poter and accessories. The tradeshow was indeed part of the Milan Fashion Week’s agenda and exclusively aimed at professional key players from the fashion industry. It attracted more than 4700 buyers from all over the world and surely boosted my brand visibility and sales opportunities. I could not have been happier to present my work in such conditions and with the endless support from Style House Files/Lagos Fashion & Design Week - a fashion platform that showcases emerging brands from the African continent. Together, with three other incredible designers (Loza Maléombho, Grey, Gozel Green) I made the most of my Italian adventure and enjoyed being part of this dynamic environment. I had the pleasure of presenting my work during the first edition of LFDW X Red Door Gallery, a new design event brought by Style House Files and Heineken Lagos Fashion and Design Week (LFDW) – a leading event on the African fashion calendar. It was held at the beautiful Red Door Gallery in Lagos. Founded in 2011, this fashion platform showcases the work of emerging Nigerian designers, bringing together buyers, consumers and the media. This year, the main theme was Identity, and as the only designer from outside Nigeria I was honoured to bring a little bit of my Ghanaian heritage to the table. This event was also a great opportunity to gain more visibility in the country while meeting with some of their most talented designers such as Lisa Folawiyo, Maki Oh, Orange Culture, and shoe designer Shem Paronelli to only name a few. Attending events across the continent is always a very enriching experience. More than a simple fashion event, the platform is created by Style House Files, and founded by Omoyemi Akerele is a new rendez-vous not to be missed for emerging brands in Nigeria and dedicated to design. I made new friends, clients and stockists such as Alara and of course new AAKS aficionados. Despite my short stay, I took advantage of this trip to get lost in the bustling streets of Lagos and discovered some amazing places such as Lekki Market. Needless to say that I am looking forward to my next visit to Nigeria! 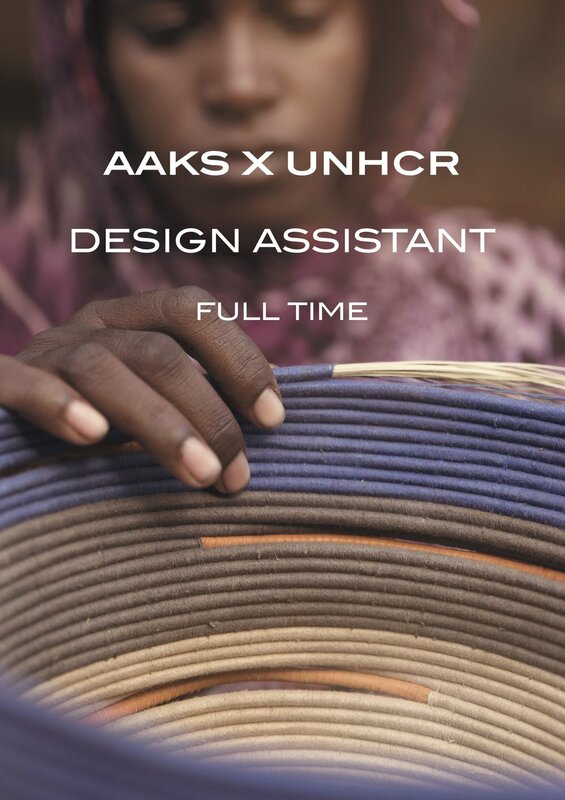 The United Nations High Commissioner for Refugees (UNHCR) and Akosua Afriyie-Kumi (AAKS) are looking for a Design Assistant Intern to join our team. The Design Assistant will assist with design, research, technical drawings and creating three-dimensional prototypes of a home interior product with artisanal groups in Burkina Faso. He or She will work closely with the creative director of AAKS in Ghana through the conception of the design project and later travel to Burkina Faso to work on handmade home interior prototypes with artisanal groups on a unique project set by the UNHCR. He/She will gain an invaluable experience of working in a small international design company in two different countries while learning about the fields of design, production and international development. • Knowledge of contemporary fashion design, trends, basketry, embroidery and hand made products. • Knowledge and interest in Africa, women’s empowerment and artisans. • Crafty-ness a big plus! Application Instructions: To apply, please email info@aaksonline.com with: (a) name of specific internship in the subject line (b) your CV, (c) a thoughtful cover letter. We had the honour of showcasing our work at Maison et Objet this September 2016 with Design Network Africa. 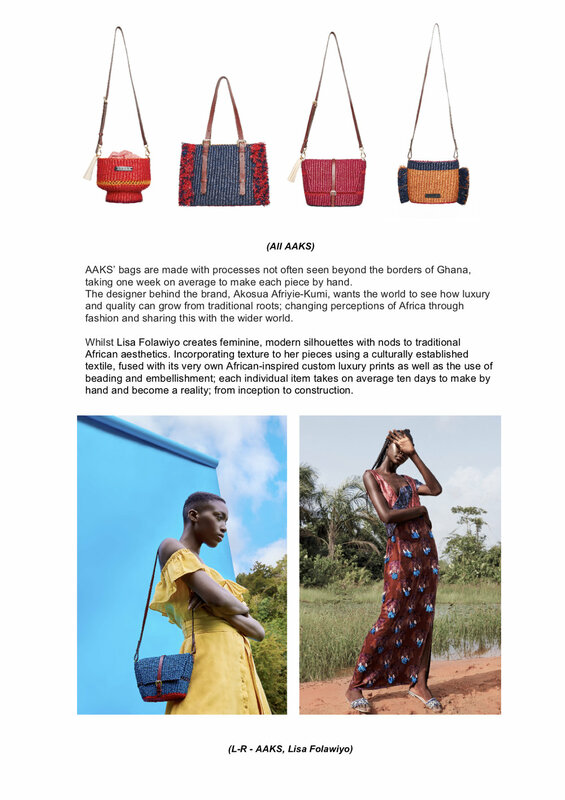 Join us at the exclusive Pop-Up Shop of the inconic African brand AAKS handcrafted as it presents a capsule collection of African handmade accessories this summer. Bracelets/ Tassel Weaving Workshop for mothers, children and adults interested in learning how to weave little items for fun. Tapestry Weaving Workshop for individuals who want to use their hand skills to create a small piece to hang at home. General Opening Times: 10AM - 7PM Everyday. See you there, Its going to be fabulously fashionable! How to style your AAKS Ambi bag for an art exhibition. We are delighted to be featured in the latest issue of Elle Decoration #IdeasIssue this month of April 2016. Read our full interview in the magazine on stands now!